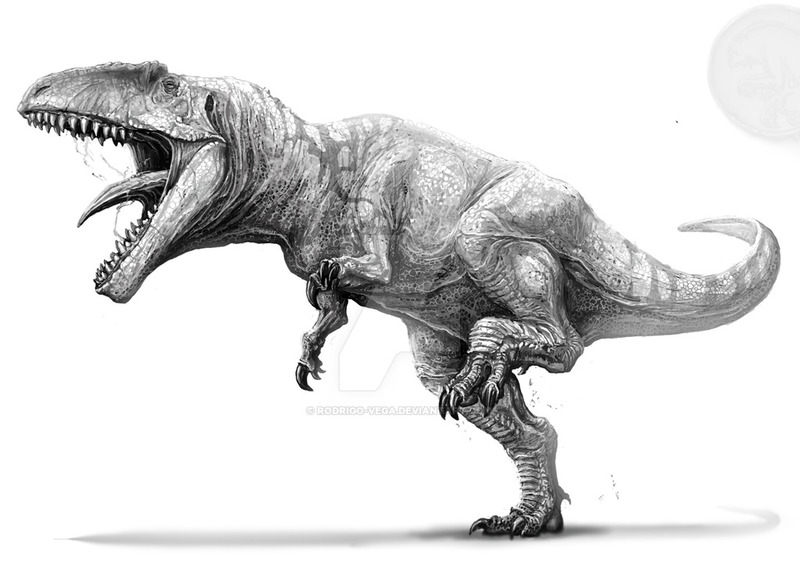 Giganotosaurus had a 6 foot long head—as big as the average human! 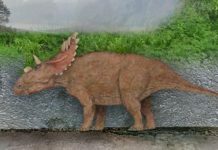 This dinosaur was as almost as long as a railroad car. 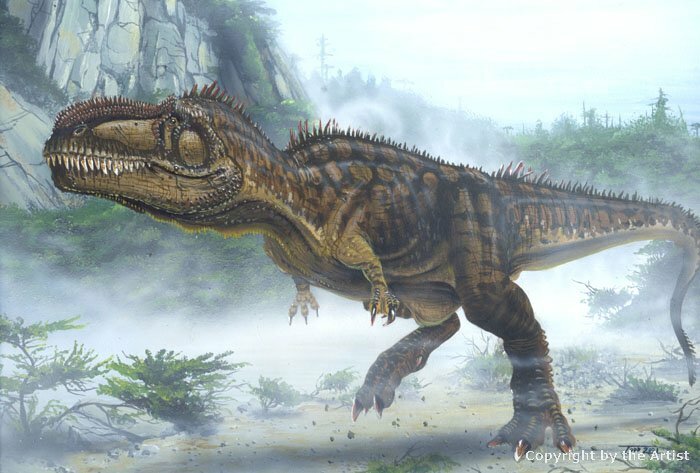 Roaming what is now modern-day Argentina, the Giganotosaurus is one of the largest carnivorous dinosaurs to have ever walked the planet. 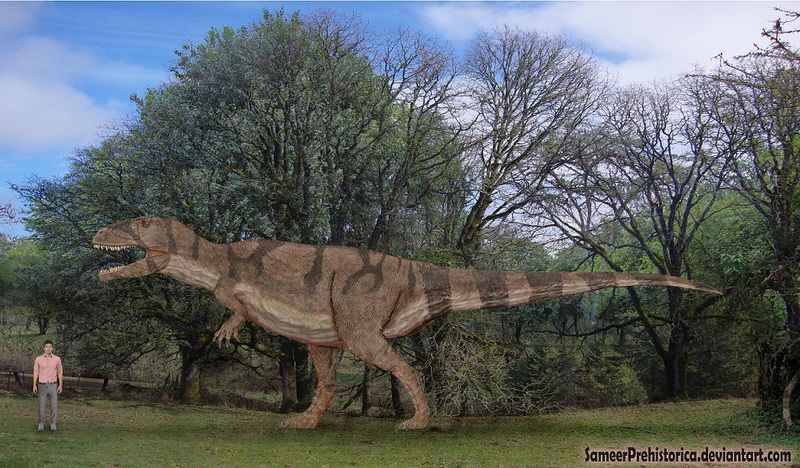 This animal stood 12 feet tall at the hips, had a length of 43 feet and weighed about 8 tons. This not only makes it larger than the T Rex, but it also makes it quite a bit heavier. Not quite as big as Spinosaurus, but significantly bigger than the Tyrannosaurus. 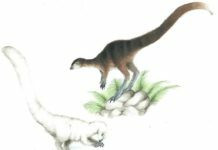 Fortunately, these two dinosaurs never existed at the same time or the same place. 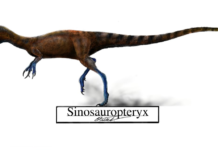 The Giganotosaurus lived 30 million years before the T Rex—during the late Cretaceous period—and lived in South America while Tyrannosaurus lived in North America. 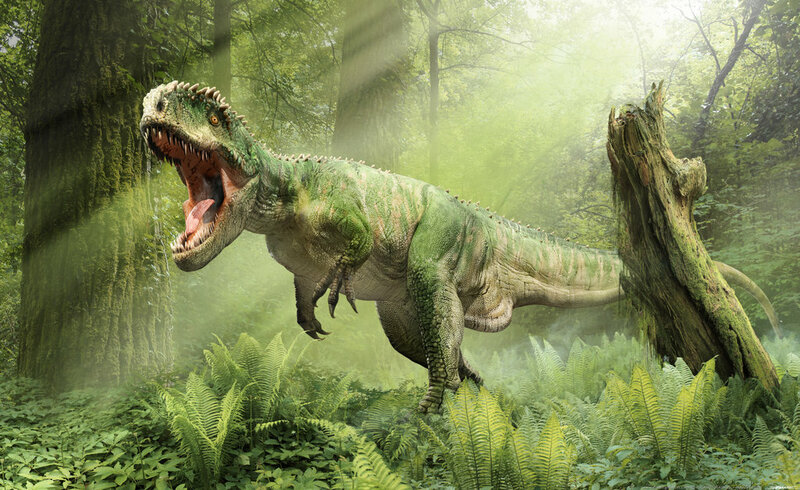 Not only is Giganotosaurus bigger than the T Rex, it is also believed to have been faster. 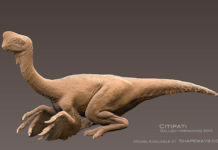 Computer simulations have shown that the Tyrannosaurus could achieve a top speed of approximately 18 mph. 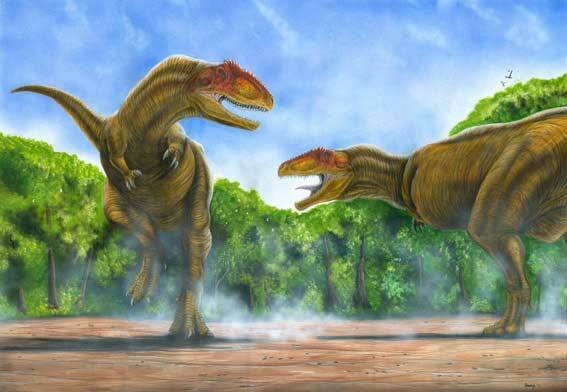 On the other hand, Giganotosaurus is believed to have reached speeds of up to 20 miles per hour. 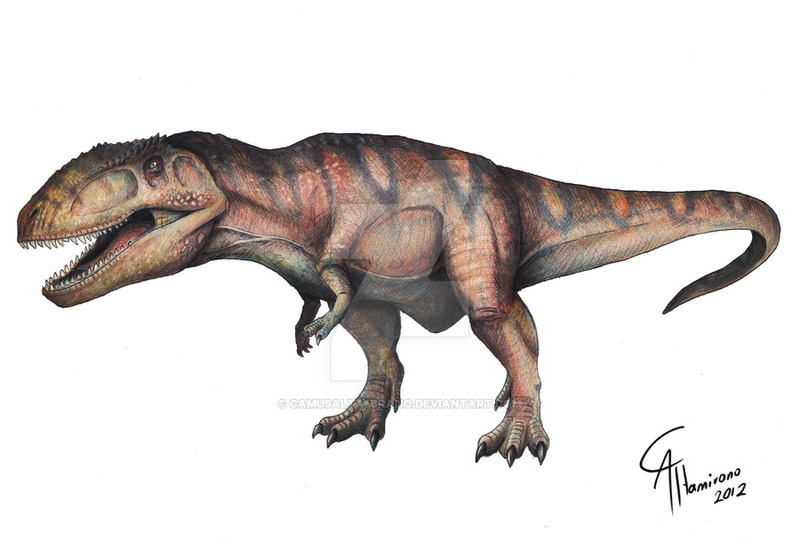 Giganotosaurus was discovered in 1993 by Rubén Dario Carolini in Southern Argentina. However, this skeleton was far from being complete. 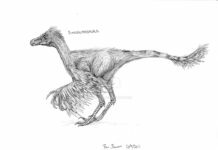 It was only about 70 percent complete and only contained fragments of the skull, hips, back and leg bones. It was named in 1995 by Rodolfo Coria and Leonardo Salgado. 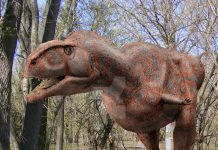 The name of this dinosaur literally means “giant southern lizard”.